The two-day conference will be discussing best practices and techniques to tackle microbial control challenges within the pharmaceutical microbiology industry. James currently holds the position of Chairman for the Pharmaceutical and Healthcare Sciences Society (PHSS) and lead the PHSS Annex 1 focus group from which 100 pages of comments were provided to the EMA during the revision consultation process. Also as part of the UK delegation from UCL: University College London, to provide Jordanian and Saudi Arabia FDA inspectors training on Quality assurance sterile product manufacturing including environmental control and monitoring for aseptic processing, and he is aware of current challenges and knowledge gaps for both the industry in regulators. Mr Drinkwater says “As conference chair for the 2nd Annual Pharmaceutical Microbiology East Coast event in Boston, it would be my pleasure to invite you to attend this meeting on April 10th and 11th 2019. Pharmaceutical Microbiology is a constant within all areas of pharmaceutical manufacturing and the field has been undergoing a period of vast change. With advances in rapid microbial methods, changes to regulations, our increasing knowledge of the human microbiome and new testing methods, the implementation of new strategies for contamination control and applying quality risk management (QRM) are challenging us all. Science and regulation: preparing suitable contamination control strategies and ensuring CGMP compliance. Including a keynote session on considered impact from revision on Annex 1 on a new Aseptic processing Filling line to provide an insight to attendees of preparation for this upcoming major revision in GMP requirements for future projects. Please download the brochure from the website for the full list of speakers and 2-day programme. 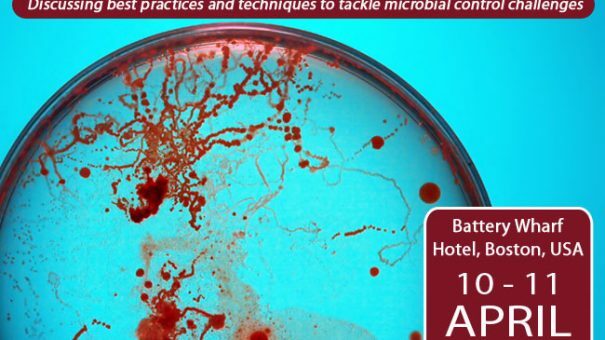 The 2019 agenda for the event is packed with hot topics, such as revision of Annex 1, contamination control, regulations of endotoxin detection methods and control, environmental monitoring, rapid microbial methods, sterility assurance, mold isolation, risk mitigation for mycoplasma, animal sera and much more. Pharmaceutical Microbiology UK CONFEX takes place in less than a week!